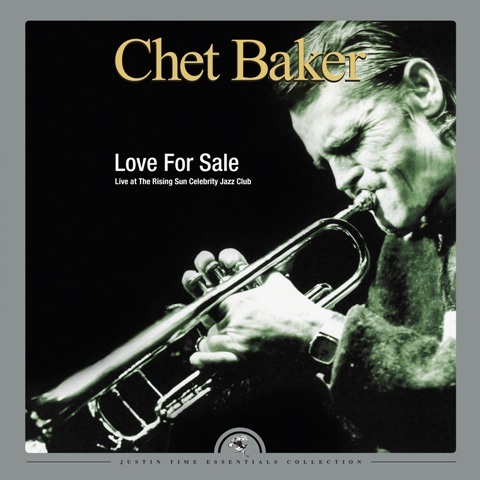 Includes 2 new bonus remixes of "Love For Sale"
Love for Sale, recorded live at Montreal’s Rising Sun Celebrity Jazz Club in 1978, provides an unexpurgated glimpse into the musical reality of Chet Baker’s last years; a life on the move from club to club across North America and Europe. The music was often loose and ragged. But there is a solo on “Snowbound” that is the kind of Baker moment you wait for. It is fragile threads of luminous melody, discovered by a series of existential choices so slow they sometimes almost stop.